As special addition for the July 2014 Treasure Island Flea, there will be an island brunch. Benedict Arnolds is a brand new brunch truck that will be making its first appearance at the flea on Saturday and Sunday. And you know what pairs well with eggs benedict? Bloody Marys and mimosas. 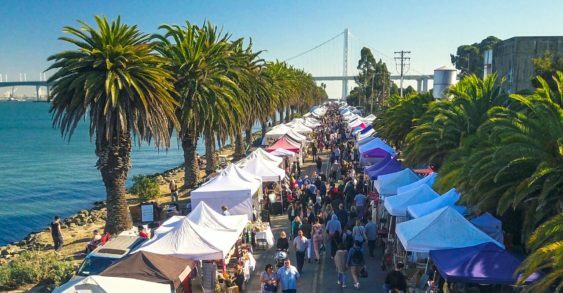 The TI Flea Lawn Bar will be serving up DIY Bloody Mary and mimosa kits (serves 6-8 people), so you can lay down a blanket and enjoy the most unique brunch setting in the Bay Area with awesome views of SF.